No doubt you've been somewhat exposed to the Harley Quinn phenomenon (female lead in the Sucide Squad movie). 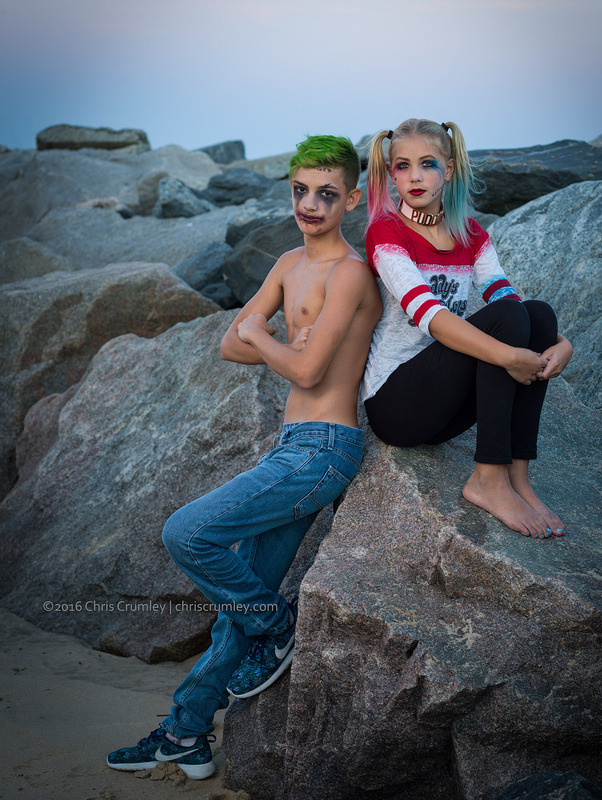 Here is an 11-year-old version of Harley (Paige on the right) with pal Xander on the Rudee Inlet rocks near dusk last week. Hold that thought.